Now that I am finished with my MSc (yay!) I have great plans for dedicating more time to blogging. Please stay tuned for new posts about spider biology and natural history soon! For now, allow me to ease back into the blogging swing of things with this post celebrating spiders in art. Do you love spiders? Are you into fibre art, digital art, or pen/paint/crayon-on-paper art? Then this post is for you! Here are some creative arts and crafts projects that are sure to inspider. I received this beautiful black widow artwork by Chris Buddle in the mail just the other day. Spiders are of course perfect subjects for drawing and painting. Not confident in your artistic abilities? 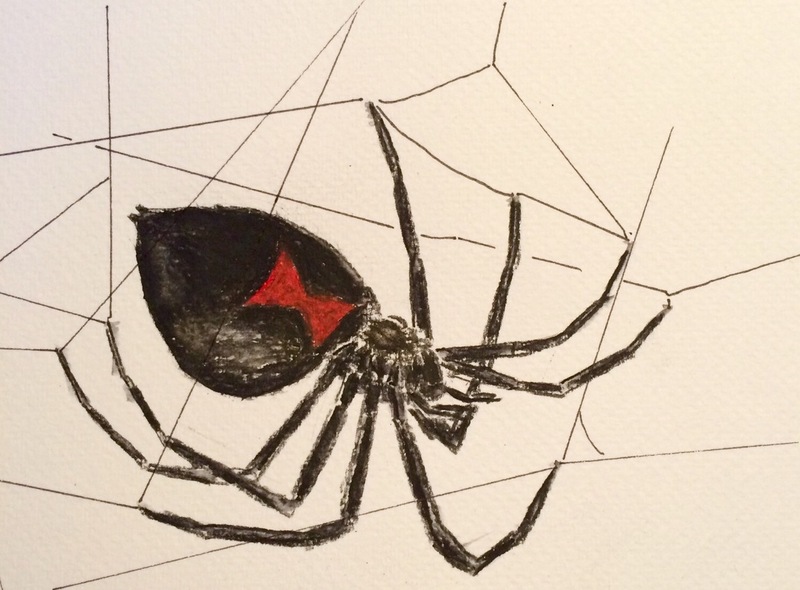 Why not start with this simple spider web project using crayons and watercolours? This would be a very fun activity to do with young arachnophiles. I especially love this tangled web made by the blog author’s daughter. Black widow and fly word art. Original photo by Sean McCann, word art created by Mike Boers. Text from my thesis! For Christmas, I was the lucky recipient of framed prints of this brilliant artwork. Mike Boers used his coding expertise to generate creative word art from Sean McCann‘s photographs and text about the subjects of the photos. 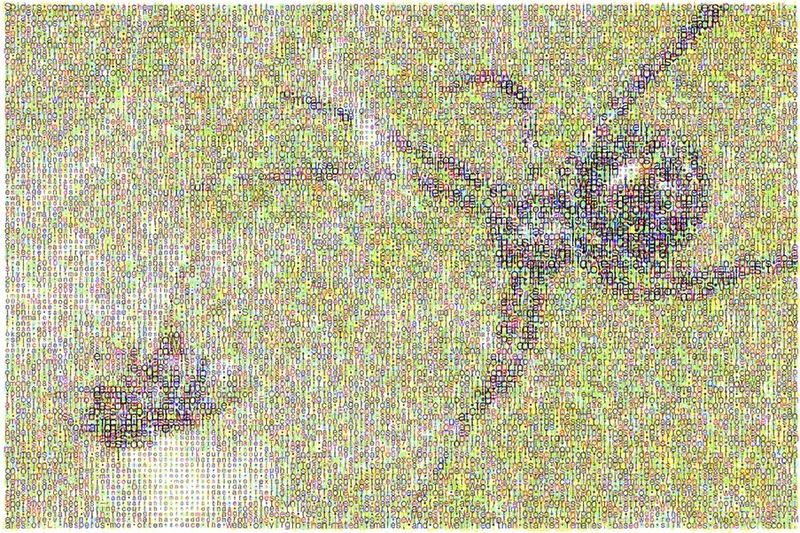 Jumping spider word art. Original photo by Sean McCann, word art by Mike Boers. I am not sure where the text for this one came from, but it is all about jumping spiders! A digital image consists of an array of pixels that can be represented by a matrix of numbers for each colour channel. The value of each entry in these matrices represents the intensity of the colour of that particular pixel. 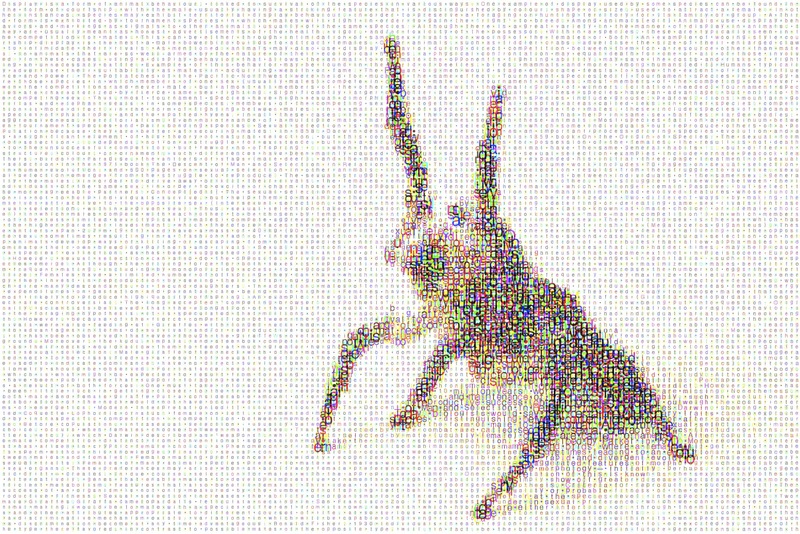 Mike replaced each of the pixels in three colour channels (magenta, cyan, and yellow) with a letter from a chunk of text. In the first image above, he used the three chapters of my thesis about black widows! If you click on one of the images above to enlarge it, and concentrate really hard on reading only the pink letters, for example, you might be able to make out some of the text. The size of each letter corresponds to the colour intensity value of the corresponding pixel. My friend and fellow arachnologist Samantha Vibert knitted these fabulous socks for me last year. Here is a free pattern that is very similar. 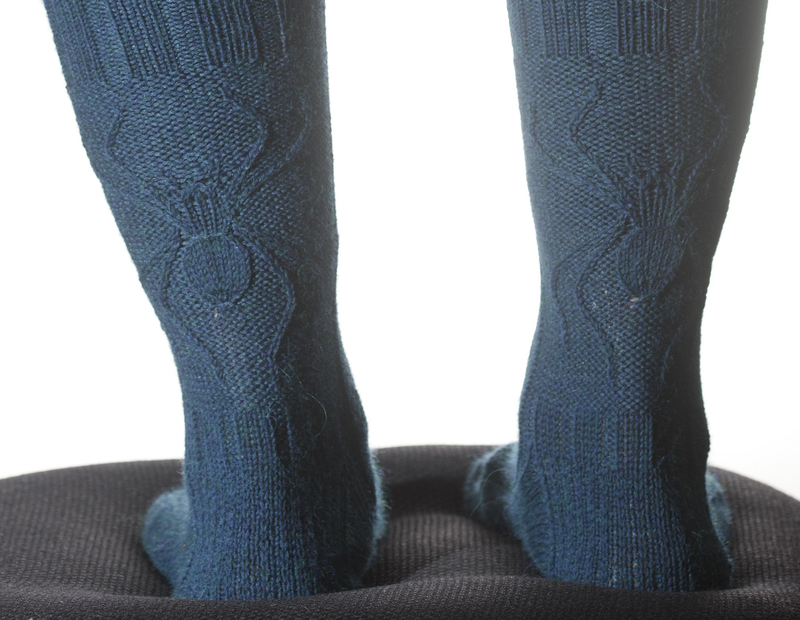 The spider chart could be used on any knitted object, not just socks. I’ve recently seen spiders in some high-fashion items like this sweater from Hermès, which unfortunately has the silk coming out the wrong end of the spider and costs more than the 10-day spider identification course being offered by the American Museum of Natural History in Arizona this summer (I’ll let you guess which one I plan to invest in). Luckily, if you can knit, you can create beautiful, affordable, and anatomically correct spider-embellished garments and accessories that far outshine any commercially available product! Speaking of spidery hand-knits, I recently made these fingerless mitts for entomologist and salticid enthusiast Guillaume Dury. 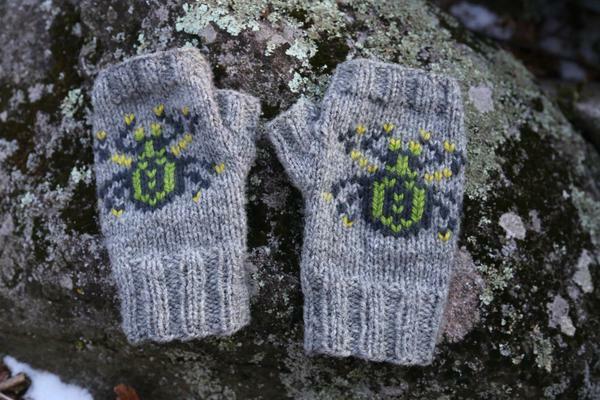 I used this free pattern for the mitts, and modified this pattern to make the jumping spider design. If you’ve made any spider art recently, or use any of these ideas to make something in the future, I’d love to see them! Feel free to post in the comments, or tweet to @Cataranea on twitter.